With New York fashion week in full swing, I couldn't help but find nostalgia in Dior's limited-edition, vintage-inspired Taileur Bar compact which honors Christian Dior's first Haute Couture Collection revealed in 1947. The image on the hand-pressed compact features Dior's iconic Bar Suit and showcases a pulled-together fashionista who dons the Taileur Bar (suit), period-appropriate hat and the forever ladylike gloves. Not unlike the new look of today, the iconic image is made of velvety shadows in black, soft gray and pink -- shades Dior showcased in his premier collection. So glamorous for the runway of our lives. Revenge actress Ashley Madekwe will be hosting the festivities here. The party will feature an Instagram printer, which allows people to print out their Instagram …photos using the #TBFNO hashtag in real time. Keeping with the night's tech-savvy theme, the boutique will also offer a limited-edition e-tablet skin gift with purchase. Celebrity superstylist Nicole Chavez will be in the house to provide partygoers with a complimentary styling session and a chance to win the full styled look via a …Facebook contest. 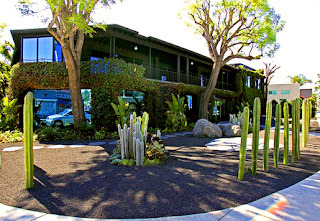 Chavez's notable clients include Kristen Bell and Victoria Justice. Maybe they'll stop by. To kick off their #UniquelyPaige campaign, Paige Denim will unveil a new storefront window display customized by local blogging superstar Julie Sarinara of …Sincerely, Jules. The display will feature three new styles from the line. After the reveal, Sarinara will hang with fans until 7pm and help them pick out some fall denim. Leandra Medine aka The Man Repeller is doing the same thing at Paige's NYC store, so this is sure to be the blogger FNO event this year. Actress and singer Adrienne Bailon is hosting a bash here with Kangaroos sneakers designers Shane and Shawn Ward. Power 106's DJ Reflex will be spinning beats while …guests enjoy Tito's Vodka, O.N.E. Coconut Water, Red Bull, Pirate's Booty and sushi. Yes, sushi. Although no Real Housewives appearances are confirmed at this event, we predict that Kyle Richards and a few of her famous friends will make a surprise cameo at the … RHOBH star's first Beverly Hills boutique. Although Scott Disick and Kim Kardashian will be in NYC and Kendall Jenner will be at Beverly Center, a Kardashian Klan member is sure to pop up at their newest …boutique. Their party will feature live music, pop-up designer booths, food and fashion trucks, giveaways and a "black carpet" photo booth. In addition to enjoying snacks and getting snapped in the latest fall sunnies, guests will be treated to a special guest appearance by a "local fashion professional." 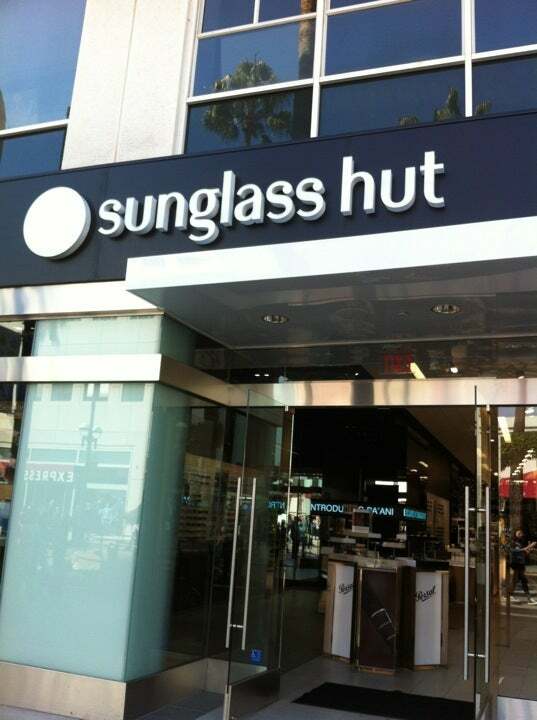 …Could it be Sunglass Hut's style director, the one and only Rachel Bilson? The French fashion house's festivities will include a champagne toast to celebrate the launch of its new collaboration with legendary Vogue creative director …Grace Coddington. The limited-edition accessories line features Coddington's drawings of her cat, Pumpkin, modeling iconic Balenciaga looks from the past 10 years—really. Although the brand's Florabotanica fragrance campaign star Kristen Stewart will reportedly be in Toronto, we're hoping for surprise appearances by some of the brand's other famous fans. 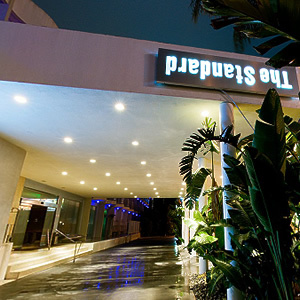 The finale of FNO WeHo will feature a huge afterparty at The Standard, Hollywood hotel. The event is open to the public and includes complimentary cocktails from 10 …to 11pm. Expect MTV Video Music Awards attendees to trickle in after the show. LA-based It girlAtlanta De Cadenet is hosting Wren's pop-up shop inside Satine, curated by Wren founder Melissa Coker. The night will include specially crafted …refreshments by Prevu, tunes by DJ Luke Harris, a Snap Yourself! photo booth and 10% off Satine's covetable merch.